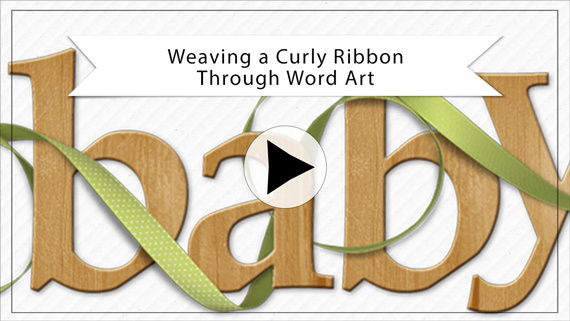 Don’t take shortcuts when weaving a ribbon through word art. It only takes a few extra minutes to make the weave look real and beautiful. Clicking on the play button above will take you to YouTube. Enjoy. Awesome tutorial, Jen, not that I thought in a million years that it wouldn’t be 🙂 I’ve figured this out on my own before, but your workflow is much easier. Love how clear and concise the instructions are from the amazing Digital Scrapper instructors.